Israel, 1993. Modernist. 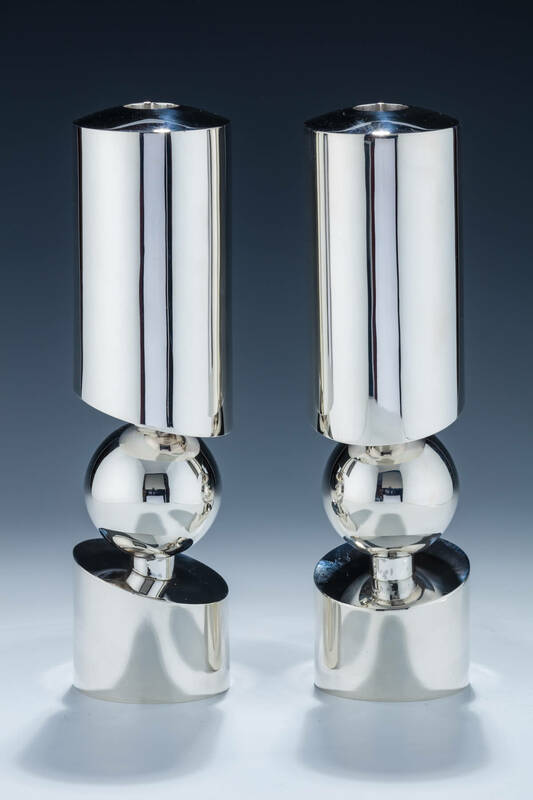 Consists of one long and one short heavy silver tubular bodies connected by a sphere. 8.2” tall.